Now that the first month of the new year is gone, how do you think 2018 is shaping up? For me, it actually started off pretty well. I spent the first week with my family at home and then, the next two weeks I was travelling, saw new places, met new people and learned new things. I feel 2018 is going to be a year of change for me especially in terms of work. Fingers crossed, everything will go well. Now, back to my January 2018 Beauty Favourites. I used this palette pretty much everyday last month. BH Cosmetics makes really good stuff at very reasonable prices and this palette is another of their gems. It has matte and shimmery eyeshadows, a pale pink highlighter, a peachy blush and a shimmery bronzer. It is great for travel and the colours are perfect for those with warm skin tones. 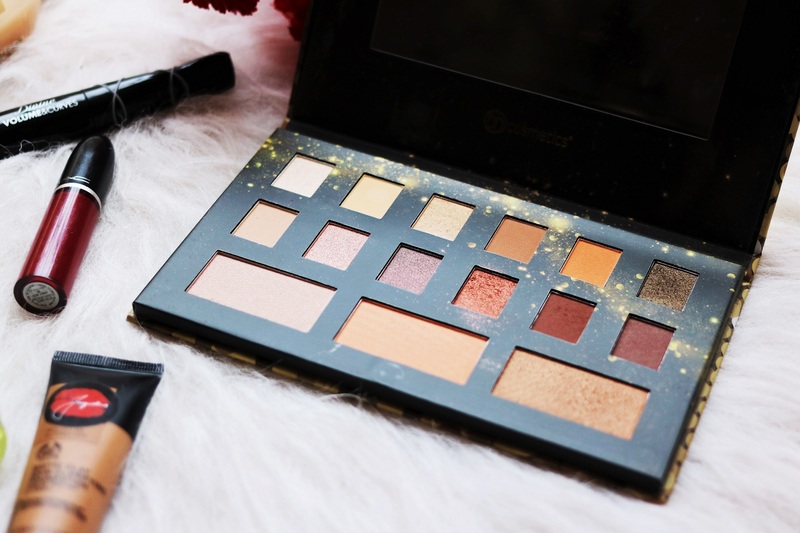 Unfortunately, this was limited edition and is now sold out but BH Cosmetics has lots of similar palettes and you can definitely find one that you like. After a neutral lipstick phase, I am back to loving my reds once again. And my red of choice last month was an old favourite, Dance With Me. 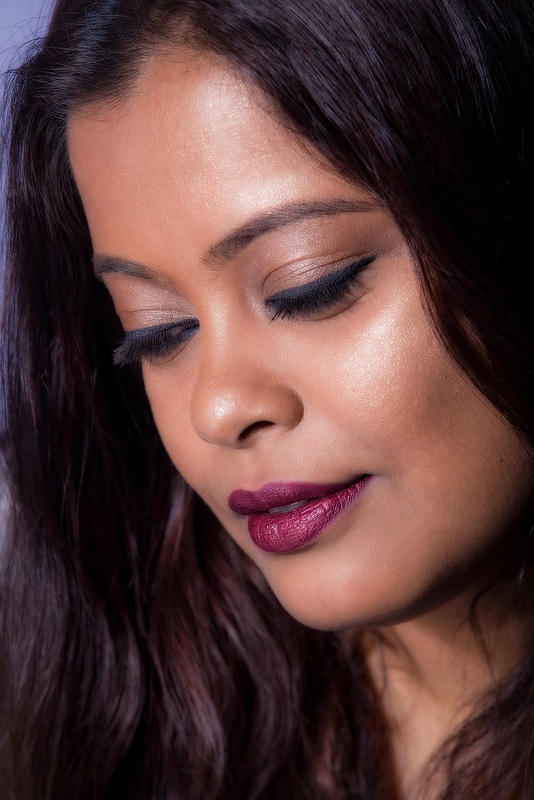 It is a deep pink-red with cool undertones and is one of the best shades in the Retro Matte range. Pigmentation is great, the colour looks good on everyone and it stays for nearly 6-7 hours. This is my first mascara from Deborah Milano and I’m loving it. The mascara gives great length and volume to the lashes, it does not clump, the price is reasonable and the effect lasts for a long time. Recommended! 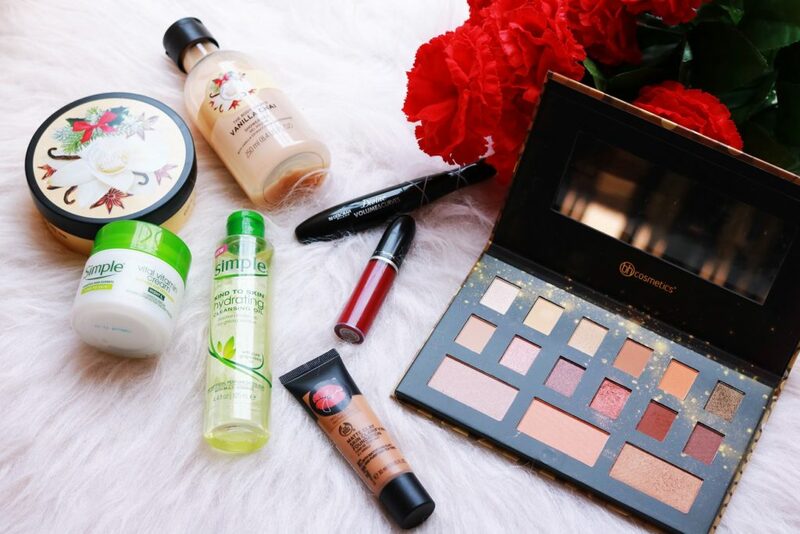 I have written about this foundation and other new makeup products from The Body Shop Jacqueline’s Signature Line 2.0 in this post. I am loving this foundation. Gives great coverage and I love the natural finish. I picked up this cream from Boots because I needed something extra to combat the freezing temperatures in London. Simple is a brand that really focuses on ‘simple’ skincare. All of their products are very gentle on the skin but they are extremely effective. Even though this is a night cream, I’ve used it as a day cream as well and what I like about it is the fact that the cream is not at all heavy. It absorbs into the skin immediately but provides hydration nearly all day and night long. I really hope this brand comes to India! One of all time favourite cleansing oils has been the Kiehl’s Midnight Recovery Botanical Cleansing Oil. I have found a very worthy competitor in the Simple Hydrating Cleansing Oil. Nearly half the price and just as effective as the Kiehl’s one. This oil takes off waterproof face and eye makeup in only one application and that is quite a feat. If you can get your hands on this, definitely give it a try. The Vanilla Chai range is available only during the holiday season and I’ve been buying it every year since they launched it. I love the slightly spicy, vanilla fragrance and the thick body butter is great for winter. 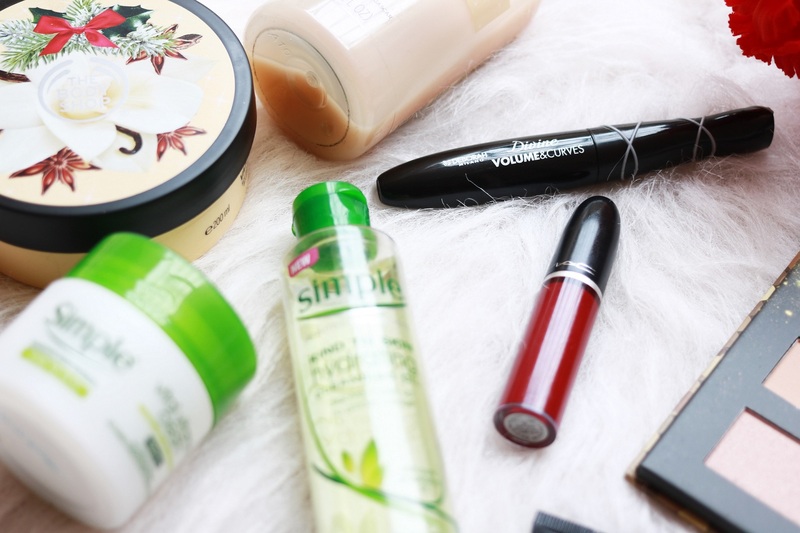 That was my list of January favourites. I would love to read about yours. Do share in the comments below. 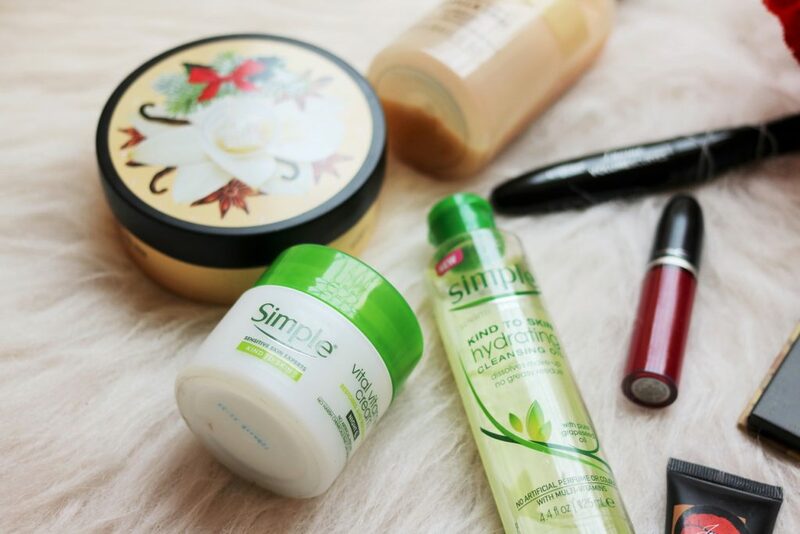 Superb products….would love to try some..